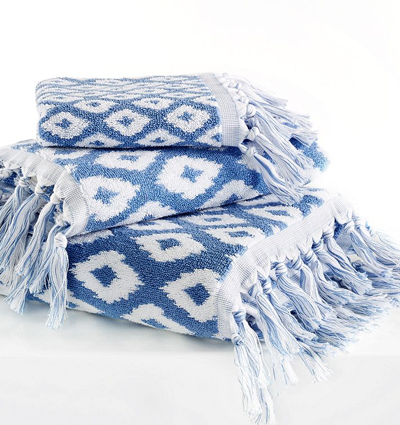 A classic ikat pattern in light blue and white embellishes soft cotton in the Madison Jacquard Bath Towel Collection from Dena Home. Finished with a tasseled edge for added style. $20-$25 Sale $13.99-$18.99. Buy here.